Sweet spreads are foods with many textures, flavors and colors. They are thickened or jellied to varying degrees. The traditional jellies and jams are preserved primarily by sugar. For proper texture, jellied fruit products require the correct combination of fruit, pectin, acid and sugar. The fruit gives each spread its unique flavor and color. It also supplies the water to dissolve the other ingredients and furnishes some or all of the pectin and acid. Good-quality, flavorful fruits make the best jellied products. Pectins are substances in fruits that form a gel if they are in the right combination with acid and sugar. All fruits contain some pectin. Apples, crabapples, gooseberries and some plums and grapes usually contain enough natural pectin to form a gel. Other fruits, such as strawberries, cherries and blueberries, contain little pectin and must be combined with other fruits high in pectin or with commercial pectin products to obtain gels. Because fully ripened fruit has less pectin, one-fourth of the fruit used in making jellies without added pectin should be underripe. The proper level of acidity is critical to gel formation. If you use too little acid, the gel will not set. If you use too much acid, the gel will lose liquid (weep). For fruits low in acid, add lemon juice or other acidic ingredients as directed. Commercial pectin products contain acids that help ensure gelling. Sugar serves as a preserving agent, contributes flavor and aids in gelling. Cane and beet sugar are the usual sources of sugar for jelly or jam. Corn syrup and honey may be used to replace part of the sugar in recipes, but too much will mask the fruit flavor and alter the gel structure. Using tested recipes for replacing sugar with honey or corn syrup is best. Do not reduce the amount of sugar in traditional recipes. Too little sugar prevents gelling and may allow yeasts and molds to grow. A variety of fruit spreads that are lower in sugar and calories than the traditional jellies and jams may be made. These products may use modified pectin, gelatin or gums to thicken them. Noncaloric sweeteners or reduced amounts of sugar provide the sweetness. Two types of modified pectin are available for home use. One gels with one-third less sugar and is sold as a light fruit pectin. It contains preservatives to help prevent microbial spoilage. The other is a low-methoxyl pectin that requires a source of calcium to form a gel. To prevent spoilage, jars of these reduced-sugar products must be processed longer than traditional jellied products in a boiling-water bath. Recipes and processing times provided with each modified product must be followed carefully. The proportions of acids and fruits should not be altered because spoilage may result. Spreads prepared with gelatin should not be processed or frozen. They should be refrigerated and used within four weeks. Paraffin or wax seals are no longer recommended for any sweet spreads. All sweet spreads that will be stored at room temperature should be processed. The use of sterile jars and a five-minute process time is preferred. If unsterile jars are used, the process time is 10 minutes. The additional processing time may cause weak gels in some products. Sweet spreads that develop mold growth should not be used. Overcooking may break down pectin and prevent proper gelling. Make one batch at a time. Increasing the quantities often results in soft gels. Use the jar size specified in the recipe. Use of larger jars may result in excessively soft products. One pound of fruit should yield at least 1 cup of clear juice. Wash all fruits thoroughly before cooking. Cut firm, larger fruits into small pieces. Crush soft fruits or berries. 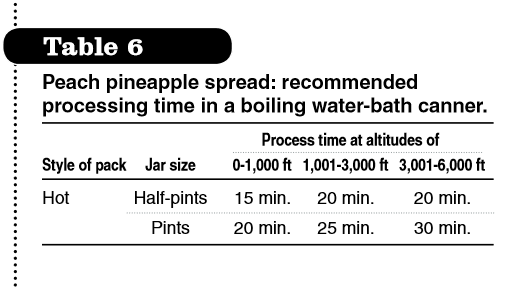 Add water to fruits (see amounts in Table 1). Put fruit and water in a large saucepan and bring to a boil. Simmer, stirring occasionally, for the amount of time listed or until the fruit is soft. When fruit is tender, press lightly through a colander. Then let the juice drip through a double layer of cheesecloth or a jelly bag. Excessive pressing or squeezing of cooked fruit will cause cloudy jelly. Use only firm fruits naturally high in pectin when extracting juice for jellies to be prepared without added pectin. Select a mixture of about three-fourths ripe and one-fourth underripe fruit. Do not use commercially canned or frozen fruit juices because their pectin content is too low. Use of peels and cores adds pectin to the juice during cooking of the fruit and increases jelly firmness. Using no more than 6 to 8 cups of extracted fruit juice at a time, measure and combine the proper quantities of juice, sugar and lemon juice in Table 1 and heat to boiling. Stir until the sugar is dissolved. Boil over a high heat, stirring frequently, until the gelling point is reached. Temperature test — Use a jelly or candy thermometer and boil to a temperature of 220 degrees Fahrenheit (F) at sea level, 218 F at 1,000 feet, 216 F at 2,000 feet or 214 F at 3,000 feet of altitude. Sheet or spoon test — Dip a cool, metal spoon into the boiling jelly mixture. Raise the spoon about 12 inches above the pan (out of the steam). Turn the spoon so the liquid runs off the side. The jelly is done when the syrup forms two drops that flow together and sheet or hang off the edge of the spoon. When the jelly is done, remove it from the heat and quickly skim off the foam. Ladle the jelly into sterile jars, leaving ¼ inch of head space. Adjust the lids and process the jars as recommended. For best flavor, use fully ripe fruit. Wash and rinse all fruits thoroughly before cooking. Do not soak. Remove stems, skins and pits from the fruit; cut into pieces and crush. For berries, remove the stems and blossoms and crush. Seedy berries may be put through a sieve or food mill. Measure crushed fruit into a large saucepan, using the ingredients in Table 2. Add sugar and bring to a boil while stirring rapidly and constantly. Continue to boil until mixture thickens. As you test for thickness, remember to allow for thickening during cooling. 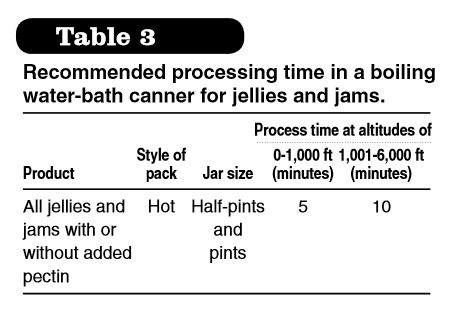 One way to test the thickness is to follow the directions for the temperature test for jelly without added pectin. An alternative method is to remove the jam from the heat. Pour a small amount of boiling jam on a cold plate and put it in the freezer compartment of a refrigerator for a few minutes. If the mixture gels, it is done. When the jam is done, remove it from the heat and quickly skim off the foam. Ladle the jam into sterile jars, leaving ¼ inch of head space. Adjust the lids and process the jars as recommended. Jellies — Apple, crabapple, blackberry, boysenberry, dewberry, currant, elderberry, grape, mint, peach, plum, black or red raspberry, loganberry and strawberry. Jams — Apricot, blackberry, boysenberry, dewberry, loganberry, red raspberry, youngberry, blueberry, cherry, currant, gooseberry, grape, orange marmalade, peach, pear, plum and strawberry. Additional recipes may be available by calling the consumer number listed on the pectin package insert. Be sure to use Mason canning jars and self-sealing, two-piece lids, and be sure to process the jars in boiling water as described in Table 3. Purchase packaged pectins needed each year. Old pectins may result in poor gels. Prepare products as described in the following pages. All products should be filled hot into sterile half-pint or pint canning jars, leaving ¼ inch of head space. To sterilize empty jars, put them open side up on a rack in a boiling-water canner. Fill the canner and jars with hot (not boiling) water to 1 inch above the top of the jars. Boil the jars 10 minutes. Remove and drain the hot, sterilized jars one at a time and fill with food. Food residue should be removed from the jar sealing edge with a clean, damp paper towel. New two-piece canning lids prepared according to manufacturer’s directions should be applied. After the screw bands are tightened, the jars should be processed in a boiling-water canner. To process in a boiling-water canner, fill the canner halfway with water and preheat to 180 F. Load sealed jars into the canner rack and lower with handles or load one jar at a time with a jar lifter onto a rack in the canner. Add water if needed to a level of 1 inch above the jars and add the cover. When the water boils vigorously, lower the heat to maintain a gentle boil and process the jars of the product for the recommended time. After processing is completed, remove the jars from the canner with a jar lifter and place them on a towel or rack. Do not retighten the screw bands. Air-cool the jars 12 to 24 hours. Remove the screw bands and check the lid seals. If the center of the lid is indented, wash, dry, label and store the jar in a clean, cool, dark place. If the lid is unsealed, examine and replace the jar if defective, use new lids and reprocess as before or refrigerate and use. Wash screw bands and store separately. 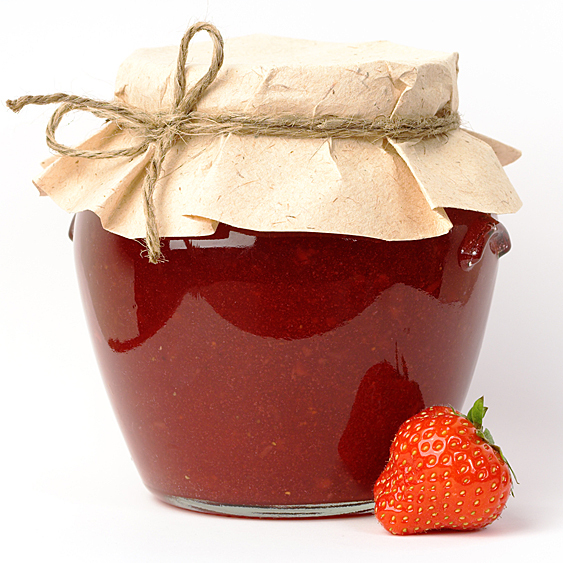 Jellies, jams and spreads are best if consumed within a year and safe as long as the lids remain vacuum sealed. These can be made with some fresh or frozen fruits or fruit juices. Commercial pectin and a higher percentage of sugar are used. Uncooked jellies and jams may be stored in the refrigerator for up to three weeks. For longer storage (up to six months), freeze. 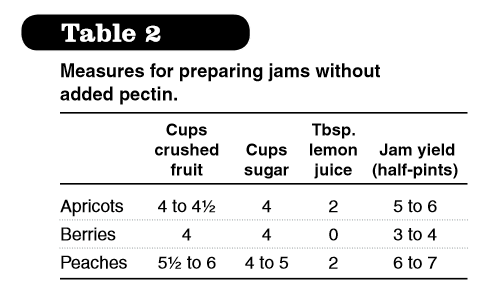 One pectin manufacturer notes that having a few sugar crystals remain in freezer jellies and jams is normal. If the product is too firm, stir it to soften it. If it tends to separate, stir it to blend it. If it is too soft, bring it to a boil. It will thicken on cooling. Recook a trial batch using 1 cup of jelly or jam to see if the recooking will give you the results you’d like. If the trial batch is successful, proceed with no more than 4 to 6 cups at one time. To remake cooked jelly or jam with powdered pectin: For each cup of jelly or jam, measure 2 tablespoons of sugar, 1 tablespoon of water and 1½ teaspoons of powdered pectin. (Stir the package contents well before measuring.) Mix the pectin and water and bring to a boil, stirring constantly. Add jelly or jam and sugar. Stir thoroughly. Bring to a full, rolling boil over high heat, stirring constantly. Boil the mixture hard for one-half minute. Remove from the heat, skim and pour into hot, sterilized jars, leaving ¼ inch of head space. Cover with new prepared lids and process according to Table 4. To remake cooked jelly or jam with liquid pectin: For each cup of jelly or jam, measure 2 tablespoons of sugar, 1½ teaspoons of lemon juice and 1½ teaspoons of liquid pectin. Place the jelly or jam in a saucepan and bring to a boil, stirring constantly. At once, add sugar, lemon juice and liquid pectin. Bring to a full, rolling boil, stirring constantly, and boil hard for one minute. Remove from the heat. Skim and pour the jelly into hot, sterilized jars. Cover with new prepared lids and process according to Table 4. To remake cooked jelly without added pectin: If the fruit juice was not acidic enough, add 1½ teaspoons of lemon juice per cup of jelly before boiling. Heat the jelly to boiling and boil until the jellying point is reached. Remove the jelly from the heat, skim, pour immediately into sterilized, hot containers, and seal and process according to Table 4. Preparation: Wash grapes. Wash and pit plums; do not peel. Thoroughly crush plums and grapes, one layer at a time, in a saucepan. Add water. Bring to a boil, cover and simmer 10 minutes. Strain the juice through a jelly bag or double layer of cheesecloth. Measure sugar and set aside. Combine 6½ cups of juice with the butter and pectin in a large saucepan. Bring to a hard boil, stirring constantly. Add the sugar and return to a full, rolling boil. Boil hard for one minute, stirring constantly. Remove from the heat, skim off the foam and quickly fill into sterile half-pint jars, leaving ¼ inch of head space. Adjust the lids and process the jars as given in Table 3. Preparation: Wash rhubarb and slice thin or chop; do not peel. Add water, cover and simmer until rhubarb is tender (about one minute). Sort and wash fully ripe strawberries: remove stems and caps. Crush berries. To make jam: Measure prepared rhubarb and strawberries into a kettle. Add sugar and stir well. Place on high heat and, stirring constantly, quickly bring to a full boil with bubbles over the entire surface. Boil hard for one minute, stirring constantly. Remove from heat and stir in pectin. Skim. Fill hot jam immediately into hot, sterile jars, leaving ¼-inch head space. Wipe rims of jars with a dampened clean paper towel; adjust the lids and process the jars as described in Table 3. Extract the juice as described under General Procedure, using enough water to cover the washed fruit, and cook about 15 minutes or until the fruit is soft. Do not crush or grind the seeds, which contain a cyanide-forming compound that can be toxic. Pour the juice into a large, heavy kettle. Add the sugar and stir to mix. Place the juice over high heat. Bring to a boil, stirring constantly. Stir in the pectin. Bring to a full, rolling boil and boil hard for one minute, stirring constantly. Remove from the heat. Stir and skim five minutes. Add the almond extract. Pour into hot, sterilized half-pint jars; leave ¼ inch of head space. Use two-piece lids and process in a boiling water-bath canner according to Table 5. Extract juice as described under General Procedure. Stir the pectin into the juice. Bring this mixture to a rolling boil (one that does not stop when stirred) over a high heat, stirring constantly. Quickly add sugar to juice mixture. Bring to a full, rolling boil and boil one minute, stirring constantly. Remove from the heat. Skim off any foam. Pour into hot, sterilized half-pint jars, leaving ¼ inch of head space. Cover with two-piece lids and process in boiling water-bath canner according to Table 5. Mix juice, sugar, lemon juice and pectin. Bring to a boil and boil two minutes. Remove from the heat, skim off the foam and pour into ½-pint or 1-pint canning jars to within ½ inch of the top. 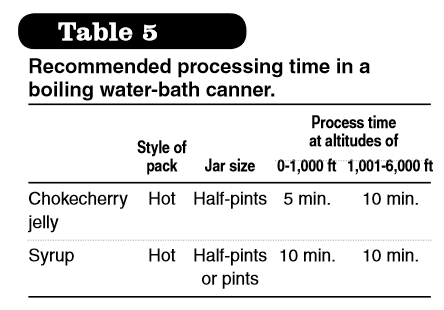 Adjust the lids and process in a boiling water-bath canner according to Table 5. Remove from the canner and cool. Check lids, label and store in a cool, dry place. Preparation: In a saucepan, soften the gelatin in the grape and lemon juices. Bring to a full, rolling boil to dissolve the gelatin. Boil one minute and remove from the heat. Stir in sweetener. Fill quickly into hot, sterile half-pint jars, leaving ¼ inch of head space. Adjust the lids. Do not process or freeze; store in a refrigerator and use within four weeks. Preparation: In a saucepan, soften gelatin in the apple and lemon juices. To dissolve gelatin, bring to a full, rolling boil and boil two minutes. Remove from the heat. Stir in sweetener and food coloring, if desired. Pour into sterile half-pint jars, leaving ¼ inch of head space. Adjust the lids. Do not process or freeze; store in the refrigerator and use within four weeks. Variation: For Spiced Apple Jelly, add two 3-inch sticks of cinnamon and four whole cloves to the mixture before boiling. Remove both spices before adding the sweetener and food coloring. This recipe may be made with any combination of peaches, nectarines, apricots and plums. This recipe may be made without sugar or with up to 2 cups, according to taste or preference. Non-nutritive sweeteners may be added. If aspartame (a low-calorie nutritive sweetener) is used, the sweetening power may be lost within three to four weeks. Preparation: Thoroughly wash 4 to 6 pounds of firm, ripe peaches. Drain well. Peel and remove the pits. Grind the fruit flesh with a medium or coarse blade or crush it with a fork. Do not use a blender. Place the ground or crushed fruit in a 2-quart saucepan. Heat slowly to release juice, stirring constantly, until the fruit is tender. Place the cooked fruit in a jelly bag or strainer lined with four layers of cheesecloth. Allow the juice to drip about 15 minutes. Save the juice for jelly or other uses. Measure 4 cups of drained fruit pulp for making spread. Combine the 4 cups of pulp, pineapple and lemon juice in a 4-quart saucepan. Add up to 2 cups of sugar, if desired, and mix well. Heat and boil gently for 10 to 15 minutes, stirring often. Fill quickly into jars, leaving ¼ inch of head space. Adjust the lids and process. 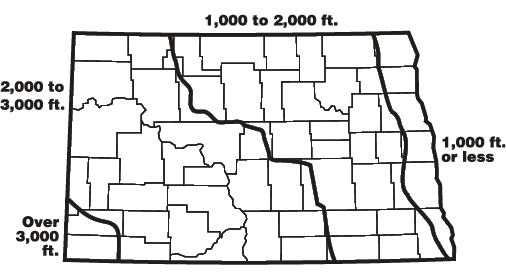 For more information regarding altitude in your county, contact your county Extension office. 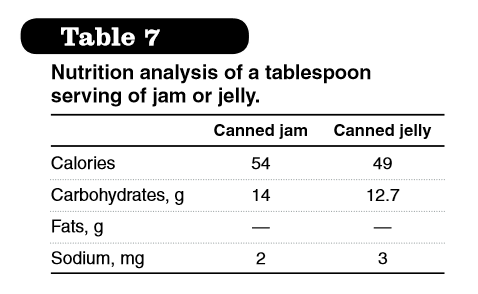 Source: Based on “Complete Guide to Home Canning,” Agriculture Information Bulletin 539, 2006 revision, and information from the National Center for Home Food Preservation, University of Georgia, Athens, Ga.